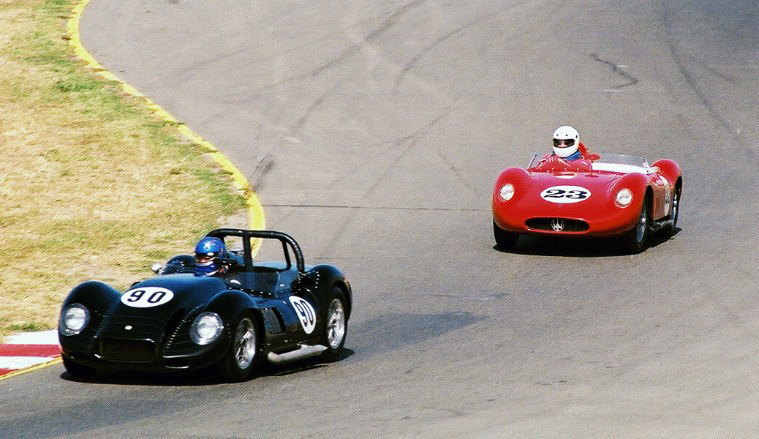 The sports racing cars of the 1950s are the heart and soul of historic racing. These cars are sensuous in the extreme, from the exquisite sculpture of their custom alloy bodywork to the scream of their thoroughbred racing engines. Click on images below for larger photos. 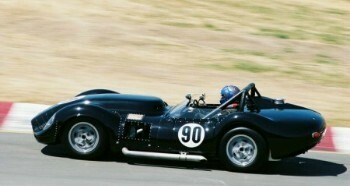 Tom Price's Maserati 200SI has the factory 2.5 liter engine conversion. The car's now a contender. A closer look at Mozart's Lister. 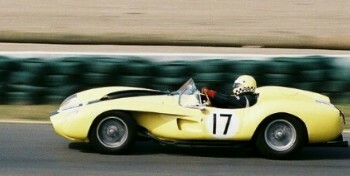 Car collector Mozart left his Ferrari Monza at home this weekend. 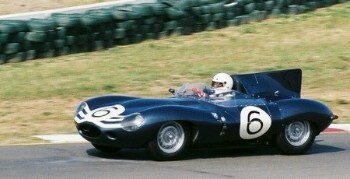 Lou Sellyei Jr.'s D-Type Jaguar appeared in Ecurie Ecosse colors. 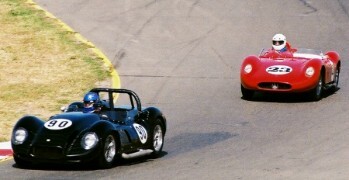 John Mozart's Lister-Chevy leads Tom Price's Maserati 200-SI. 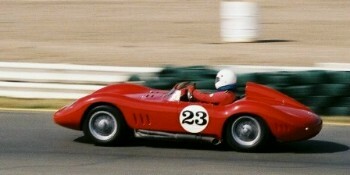 Anthony Wang's Ferrari Testa Rossa.